► Attributes: This is an extremely rare stone which takes its name from where it was found near Mount K2 Pakistan/ Afghanistan. K2 is comprised of cream-colored granite and imbued with beautiful blue deposits of azurite. ► Energy: It combines the strength and initial qualities of granite with the celestial qualities of azurite. ► Spiritual: Opens one’s consciousness to receive guidance from the higher dimensions which enable one to make decisions in one’s highest good. ► Mental: K2 balances strength with gentle wisdom. Enhances spiritual journeying and helps us to bring back guidance from the highest source. 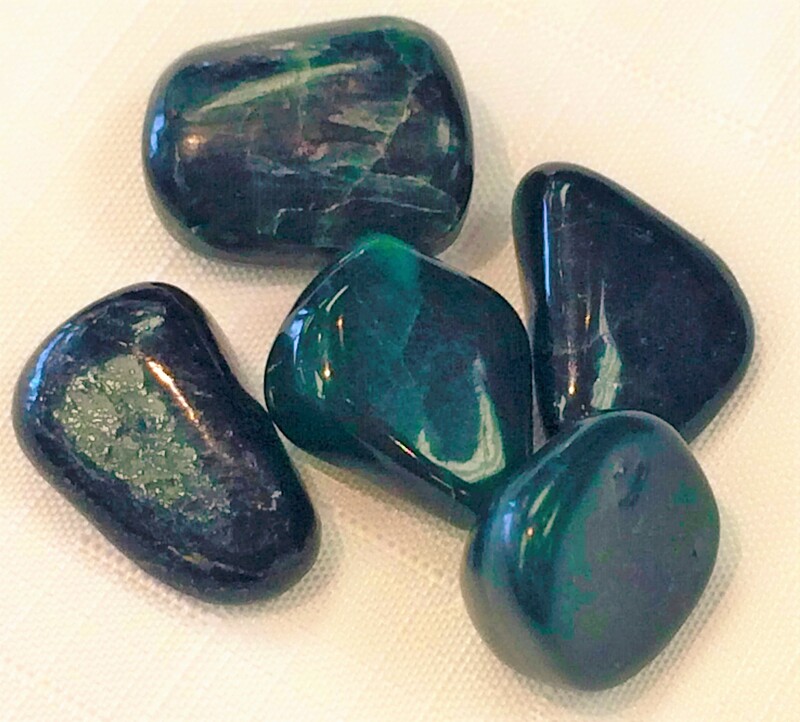 ► Emotional: The 'Stone of Indigo', this is an excellent stone for Indigo's to help balance their high telepathic sense, strengthen the photographic memory and encourage the high levels of energy. ► Physical: K2 is believed to help with headaches and migraines where these are caused by psychic blockages. 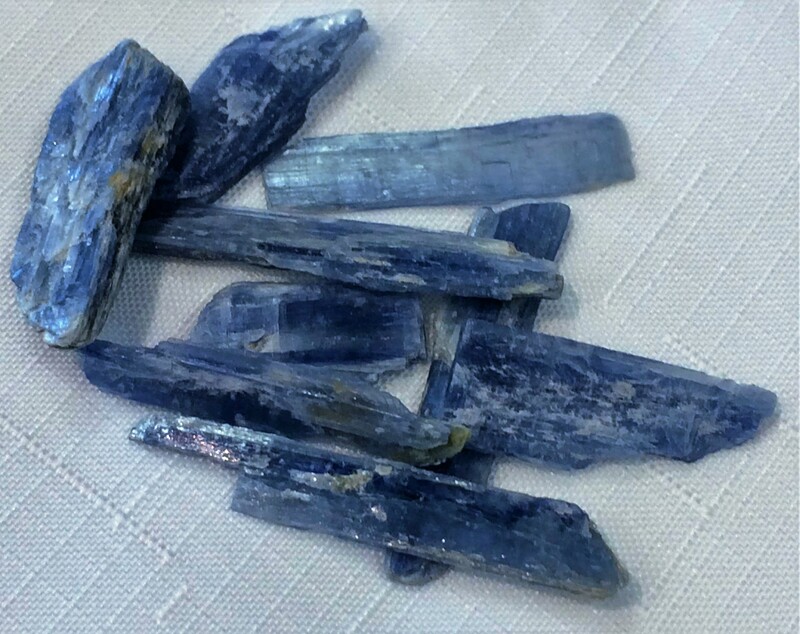 This stone works well with the Throat Chakra / Third Eye Chakra and has an intense Indigo Aura. Used to increase thought pattern, increase memory, encourage photographic memory. ► Attributes: Pink, green, yellow, lilac and clear. Transparent or translucent, striated. 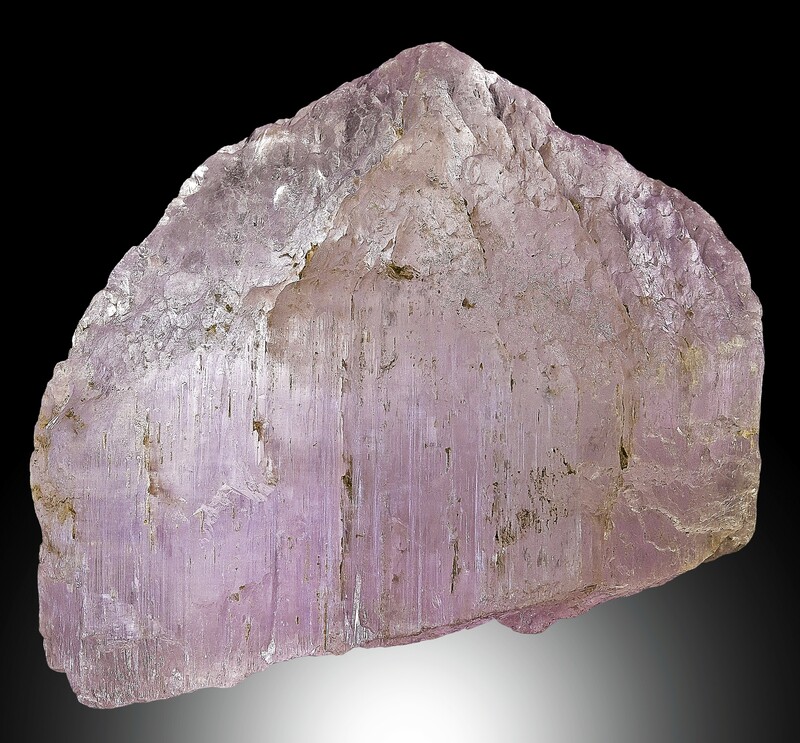 ► Energy: Extremely spiritual stone with a high vibration. ► Spiritual: Induces a deep centered & meditative state. Removes obstacles from your path. Spiritually activates the heart & aligns it with the throat and 3rd eye. ► Mental: Encourages humility & willingness to serve. Useful to those who have had to grow up too fast, bringing back lost trust & innocence. Assists in combining intellect, intuition & inspiration. ► Emotional: Produces loving thoughts & communication. Assists in clearing emotional debris. Heals heartaches, especially that which is carried from other lives. Alleviates panic attacks. ► Physical: Shields & strengthens the aura. Dispels attached entities & mental influences from the aura. Treats neuralgia. Contains Lithium & is beneficial for psychiatric disorders (elixir). Assists physical recovery from emotional stress. ► Attributes: Blue-White, Pink, Green, Yellow, Grey, Black; Striated & Bladed, may be transparent. ► Energy: High energy stone that affects everyone in its aura. ► Spiritual: Extremely grounding & protecting. It grounds the energy from up high, your higher self, down your base chakra into the Earth. Works well in tandem with others from Kyanite family. ► Mental: In meditation it allows access to your sub-conscious. Often used for past life regression, also provides insights to the purpose of this incarnation. ► Emotional: Heals any tears or holes in the chakras & the aura. It often helps to open communication between people. 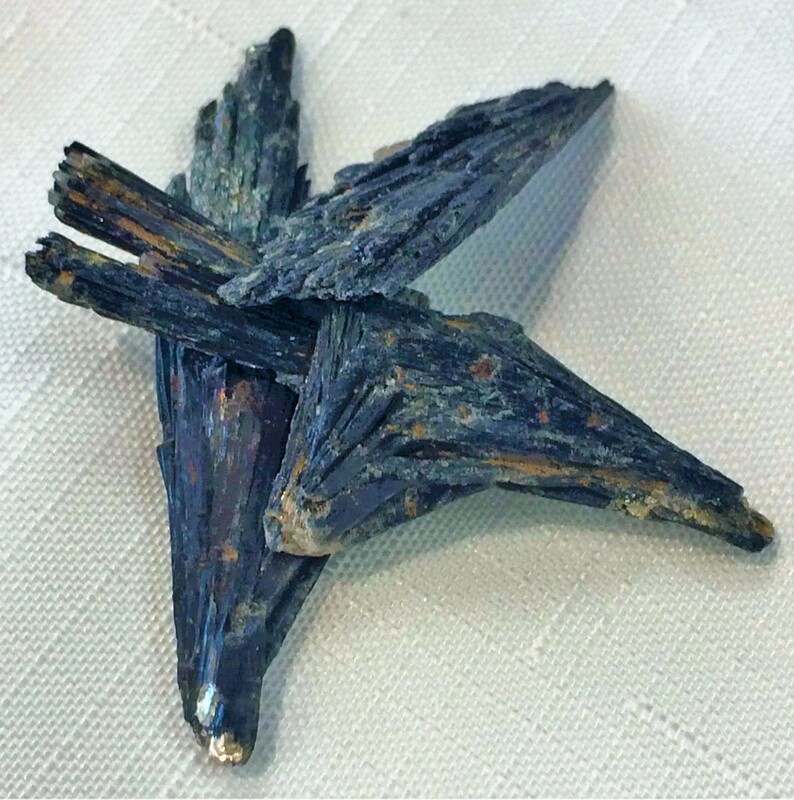 ► Physical: Kyanite never holds onto any negative energy thus, it never needs to be cleared. Aligns all chakras. Promotes strengthening the body. Reduces fevers, pain and assists in normalizing the blood pressure. Greatly aids vocal cords, muscles, urogenital system, adrenals, para-thyroids & brain. ► Energy: Known ability to balance the heart chakra. Assists one to heal by connecting to the Earth energy. ► Spiritual: Known to aid one in channeling conscious wisdom from nature spirits for application on the physical realm. ► Mental: Can facilitate one's connection with their deepest truth found only within the heart, & helps one to learn how to live from this eternal truth. ► Emotional: Assists one to decipher what other’s true motives are, buried deep inside their hearts. Potent in nurturing, whether of fledgling family relationships or a new business venture. The color green promotes spiritual growth provides a new commitment to it. ► Physical: Balances heart chakra & Assists balance the heart’s overall health. Aligns & opens all chakras. Balances one with mother nature by aligning to the Earth’s energy. Place in a pot of a plant to improve its growth & stamina. ► Attributes: Blue-white, pink, green, yellow, grey & black. Striated & bladed, may be transparent. ► Energy: Excellent for attunement & meditation. Stimulates psychic abilities. 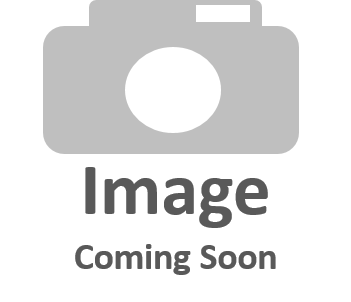 ► Spiritual: Ability to tune into the causal level. Facilitates dream recall & promotes healing dreams. Assists in making the transitioning through death. Facilitates in ascension process. Doesn't hold negativity. Assists in detaching from the idea of blind fate or implacable karma. ► Mental: Encourages speaking one's truth. Encourages cutting through fears & blockages & ignorance. Increases capacity for logical & linear thought. Stimulates higher mind. ► Physically: Restores Qi to the physical body. Stabilizes the bio magnetic field after clearing & transformation. Opens throat chakra. Lowers blood pressure. Releases excess weight. Supports motor responses.